Pest Expert Formula 'C' Flea Spray is a fast-acting flea killer that enables you to carry out an effective treatment against dog and cat fleas, with a residual that maintains long-lasting flea control. Long-lasting residual maintains flea control for up to 12 weeks. Pest Expert Formula 'C' is the most powerful insecticidal flea spray available to the amateur market. As well as being a fast-acting flea treatment, it also offers long-lasting flea control as the protective residue it leaves behind continues to kill fleas for up to 12 weeks after application. Formula 'C' is effective against both dog fleas and cat fleas and, being a water-based insecticide, it is safe for direct application to rugs and carpets. Formula 'C' is virtually odourless and contains no solvents, so it is perfectly suitable for use in households where there are children and/or pets, as long as they are kept out of the area being treated until all surfaces are dry (approx 2-3 hours). The active ingredient in Formula 'C' is the powerful broad spectrum insecticide cypermethrin (0.1% w/w), which is also effective against a wide range of flying and crawling insects. 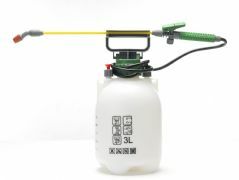 A one litre trigger spray contains enough insecticide to treat an area of approx 100m2. One application should be sufficient for a successful treatment, although a second application may be necessary if the infestation is particularly heavy or eggs are deeply entrenched. Apply Formula 'C' to affected areas, floors and carpets, paying particular attention to the edges of the room, where fleas often lay their eggs. Avoid cleaning or vacuuming the treated areas for as long as possible as this will remove the protective residue. Do not apply directly to pets or pet bedding. When carrying out a treatment to a large area, we recommend using one of our Pressure Sprayers to enable an even distribution of the Formula 'C' insecticide and help you achieve a professional application. 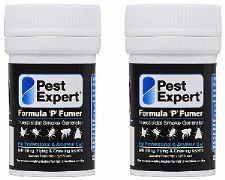 For a more comprehensive treatment, fumigation devices such as Pest Expert Formula 'P' Flea Bombs should also be used. For safe treatment of pet bedding, please see our organic Agrothrin Flea Powder. For the best value for money please see our Flea Kits, which contain a combination of our best flea killer products. Bought the 5L container but only needed half as its so good!!! Fleas were perishing left, right and centre! Fantastic stuff! Pest Expert, you really know how to make insecticides! See ya fleas and good riddance! So extremely happy with this spray, it was cheap and effective. Happy days! Good product! The product is easy to use and is effective - 5 stars from me! Job done! 5L across the house and the fleas have been obliterated! Fantastic product, just what I needed.